(SPOT.ph) There weren't any long lines of frantic fans at the final installment of FebFest 2014 last February 20 at the Metrotent in Metrowalk, Ortigas. 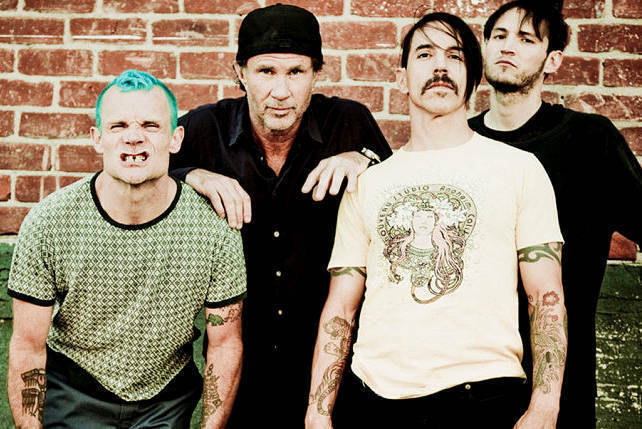 Before the show, the vibe was pretty laidback as fans reveled in their hushed excitement. 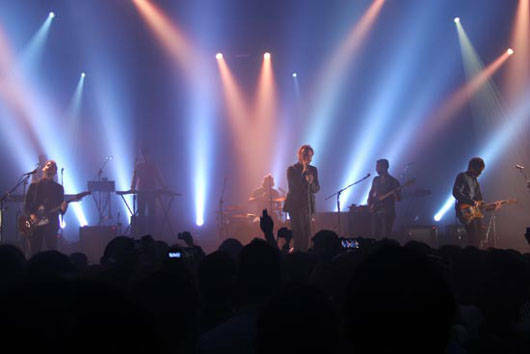 Three international acts were expected that night, with Ohio indie rockers The National headlining the show. Concertgoers came in modest numbers, and the crowd thickened at a steady pace. By the time the headliners took the stage, the place was filled just right-not to the brim but not underwhelming for the artists. The number of people made the event somewhat intimate, but the energy and outpouring of feelings seemed like it was all coming from a larger group. The buildup was spot on. The gaps in between sets didn't seem to matter, what with the force of all three performers-Buke and Gase, Youth Lagoon, and The National. No moment was anticlimactic. 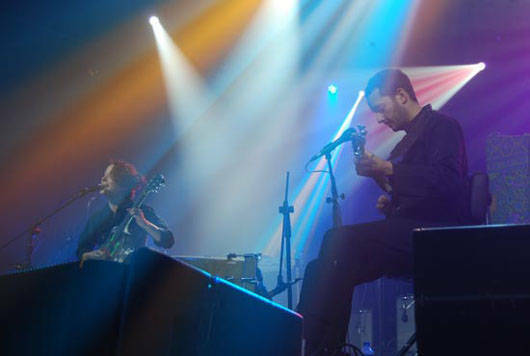 At around 8 p.m., Brooklyn duo Buke and Gase kicked off the musical festivities. Their performance was simple with no theatrics whatsoever, but their sound is the type that will quickly grow on you. Arone Dyer's unique vocals shone in the catchy numbers "Houdini Crush" and "Sleep Gets Your Ghost." For almost an hour and with over 10 songs, Buke and Gase prepared the audience for the next round of hyped performances. 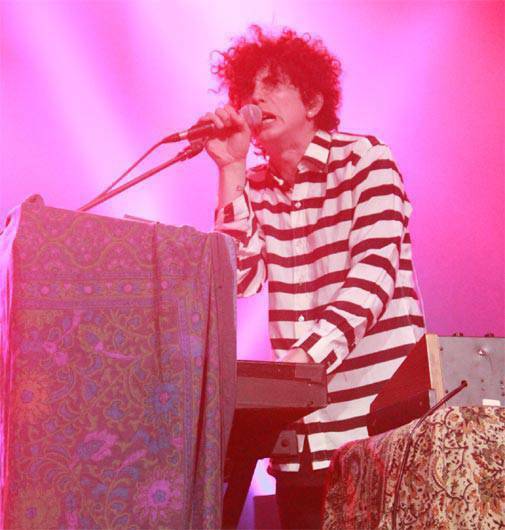 Youth Lagoon delivered what was expected, a hypnotic, psychedelic mix of songs that got the crowd moving. The set started with "Mute," which was warmly welcomed with cheers. Trevor Powers was in his element and connected with the audience. "It's so nice to be here. Thank you so much," he told screaming fans. Other favorites like "Sleep Paralysis" and "Cannons" were played that night. And to perhaps cool things down a bit, Youth Lagoon ended with "Raspberry Cane." We kind of dreaded seeing The National that night. We (and we believe everyone else there, too) knew there would be a lot of feelings to deal with. Their set combined old and new favorites, all with melancholic themes. The National opened with "Don't Swallow the Cap," and instantly, people were holding on to their hearts. The crowd lost it many times to certain songs like "Bloodbuzz Ohio," "I Need My Girl," "This is the Last Time," and "Fake Empire." When the set ended, it was obvious an encore was in order. During encore, while singing "Terrible Love" to a sea of wild fans, Matt Berninger decided to crowd surf. By that time, The National frontman was already overflowing with energy. From his subdued demeanor early in the set, Berninger transformed into a cool, crowd-surfing, high-fiving, screaming band guy. It was a delight to see the 43-year-old musician in such a light. For their last song, The National went mellow with a strings version of "Vanderlyle Crybaby Geeks." The audience went from screaming and dancing to swaying and singing, "All the very best of us string ourselves up for love." All three acts put on a good show, leaving everyone with a concert hangover to nurse for days (weeks even). 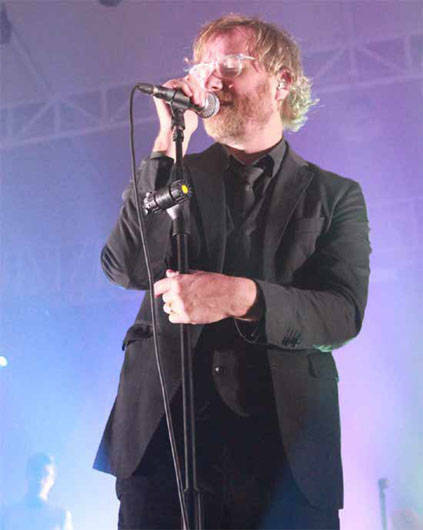 The National, most especially, proved their value in the music scene. We want and need them to stay.